Viknesh Vijayenthiran March 9, 2017 Comment Now! 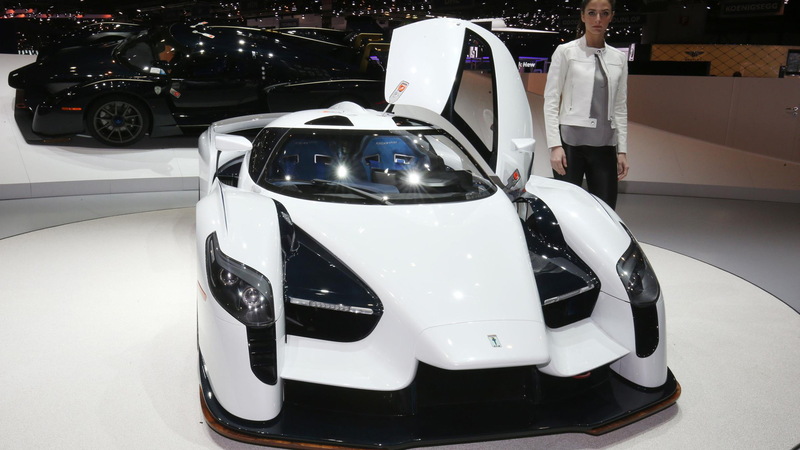 Right from the very start of development of the SCG003 at Scuderia Cameron Glickenhaus, James Glickenhaus, the founder of the American race team and supercar builder, has insisted that the car be a proper race car that with some simple mods can be turned into a road car. We’ve already seen the SCG003 in action on the race track, and now it’s finally ready to attack the streets. The most civil version of the SCG003 is the SCG003S, which was presented for the first time in its final form during this week’s 2017 Geneva auto show. The “S” in the name stands for Stradale, Italian for “street,” and this is the version that’s the least punishing. You’ll notice it even has leather trim in the cabin. At the other end of the spectrum is the SCG003C, the “C” signifying that this is for Comptizione, Italian for “competition.” The SCG003C is a GT3-spec race car that was first shown two years ago and has already competed in a number of endurance races, including those of the grueling VLN series held at the Nürburgring. The main difference between the SCG003S and SCG003C is the engine. An emissions-compliant engine was required for the road car, in this case a twin-turbocharged 4.4-liter V-8 delivering 800 horsepower (the race car uses a 3.5-liter V-6). The aero has also been toned down slightly for the road car, and the suspension made less harsh. Wood has also been attached to the underside of the front splitter so that the precious carbon fiber doesn’t get scraped. 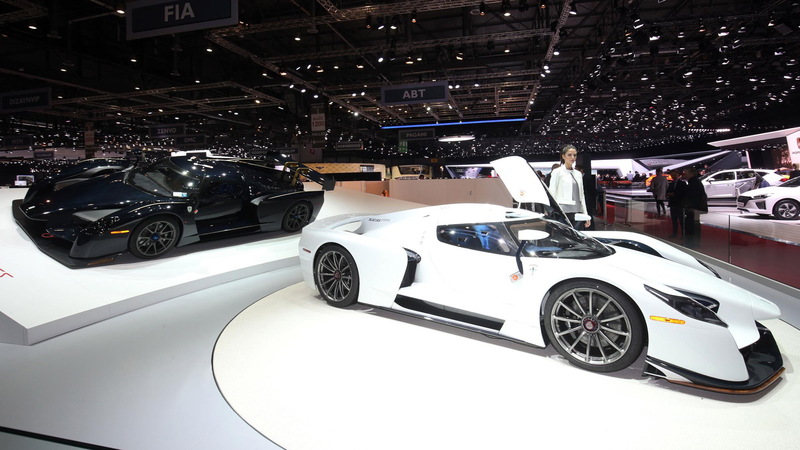 In between the two extremes is the SCG003CS, which was presented in its final form alongside the SCG003S in Geneva this week. 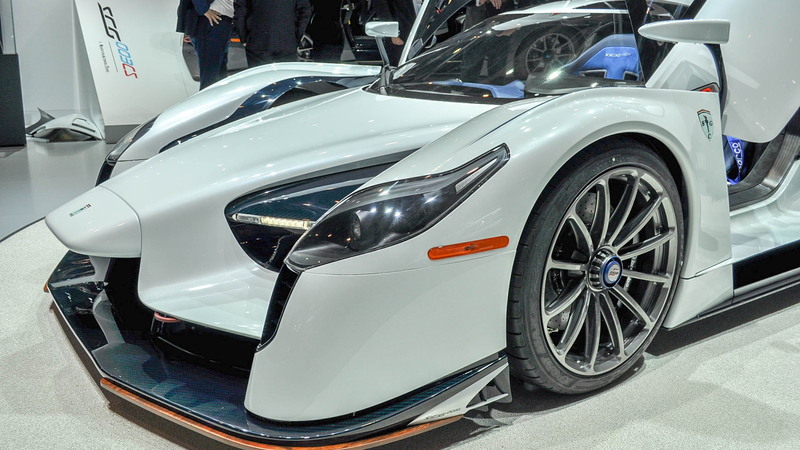 The SCG003CS is essentially the SCG003C race car with the bare minimum of mods to make it street-legal. As Glickenhaus often asserts, it’s a car you can drive to the race track, make a few mods using only basic tools, and then race all day before modifying it again for the drive home. 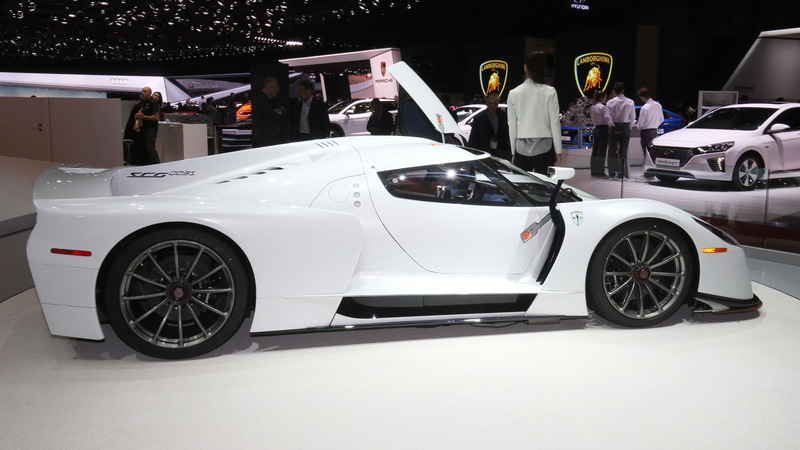 Pricing for the SCG003 starts at $1.8 million. That’s for the road car, of which Glickenhaus plans to build 10 examples. From the money he makes, he hopes to eventually enter the car in the GTE class of the 24 Hours of Le Mans. He also wants to use the funds to start developing the next evolution of the car. Handling the production is Italian firm Manifattura Automobili Torino (MAT), an engineering skunk works with the ability to develop and manufacture low-volume road and race cars. And to get around America’s troublesome regulatory hurdles, the car will be sold in kit form.